Death is God’s punishment for sin. Adam ate the forbidden fruit: “you must not eat from the tree of the knowledge of good and evil, for when you eat of it you will surely die” (Gen. 2:17); “sin entered the world through one man, and death through sin, and in this way death came to all men, because all sinned” (Rom. 5:12). At death, the soul is immediately sent to either Heaven or Hell (see Luke 16:19-31). Hell is a place of eternal punishment for the wicked after they die; in the center of the Earth, in the spirit world (Ezek. 26:20); and will be finalized by the Lake of Fire after Judgment Day (see Rev. 14:10-11, NKJV; 20:15). 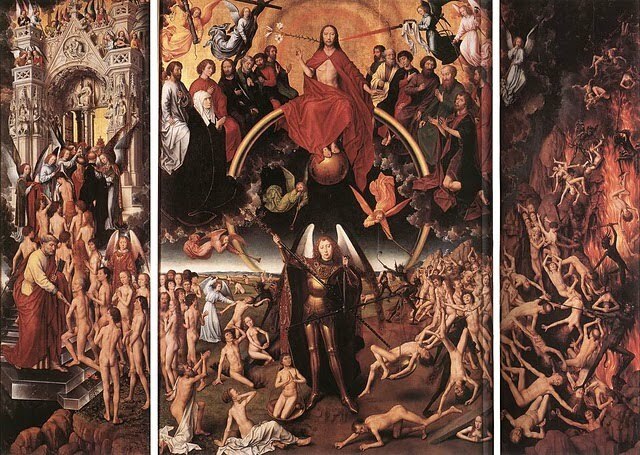 Hell, according to Luke 16:19-31, consists of torment, seeing saints far away in Paradise, crying for relief, parched, dry, thirsty, burning in fire, agony, knowing that you cannot go to Heaven because of the chasm, and worry for loved ones alive on earth that they too might come to Hell. The Lake of Fire is forever and ever: “these shall go away into everlasting punishment: but the righteous into life eternal” (Matt. 25:46, KJV). Heaven is a place of eternal bliss for the righteous after they die; in the Third Heaven above the stars, in the spirit world (2 Cor. 12:2); and no longer Abraham’s Bosom; it consists of the holy city New Jerusalem with gates, high walls, and angels guarding them, the throne of God, no tears, no death, no crying, no pain, fresh water to drink, no wicked men, there are angels, mountains, the glory of God, precious stones of many colors, gold is abundant, the New Jerusalem is laid out like a square golden city, there is a main street that goes through it—like see-through glass but golden, there is no sun or moon because the city is illuminated by the light of Jesus, and so, there is no night time either, a river of crystal clear water goes down the middle of the main street, and the Tree of Life from the Garden of Eden bearing twelve kinds of fruit, the white-robed saints of the ages will regularly see the face of God (see Rev. 21-22). Heaven is temporary until Judgment Day; followed by the creation of a new heavens and a new Earth (Isa. 65:17).